Finally, a specialized skin care and treatment created specifically for circumcised men. 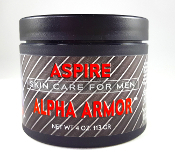 Developed by skin care experts, Alpha Armor creates a nourishing shield that surrounds your genital skin to rejuvenate the skin surface and reverse circumcision damage. 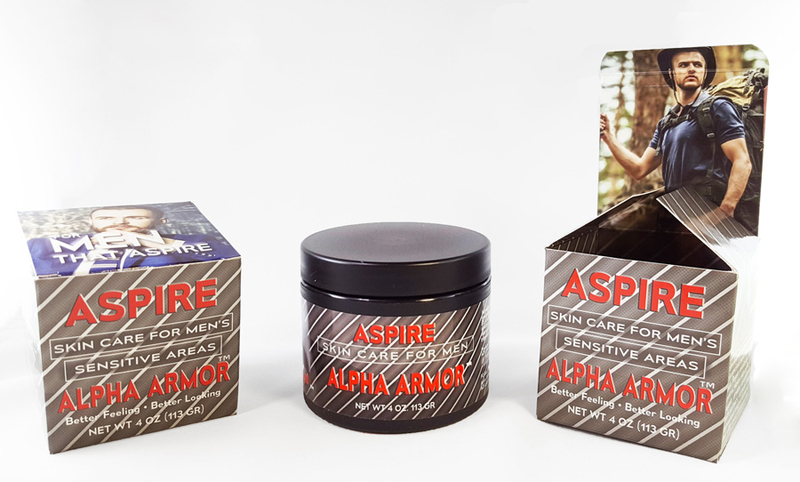 Alpha Armor will help regain sensitivity and make skin softer & more supple. This gives greater sensation for both partners - or many! Improves appearance and performance. Special emollient blend of lanolin, ceresin beeswax, coconut oil, squalene, and candeia extract that mimics foreskin secretions. Get that silky uncut European feel. Daily skin care for circumcised men to protect against the drying and sensitivity robbing effects caused by circumcision, and cellular dehydration of exposed mucosal tissue. Make applying Alpha Armor part of your daily morning routine. One application lasts all day long. Helps skin repair, growth, and healing after a restoration session. Collagen stimulating tri-peptide-38 proven to cause new skin cell growth to replace damaged skin cells. Emollient blend mimics natural foreskin secretions. Vitamin A retinyl, Vitamin B5. Vitamin C, & Vitamin E to support cellular repair and growth. Collagen growth stimulating tri-peptides (proven by in-vitro studies to cause synthesis of six major proteins including collagen I, II, IV, fibronectin, hyaluronan, & laminin 5) to help repair and rejuvenate skin cells damaged by years of exposure from circumcision. Specifically designed and made available to help circumcised and restoring men. No other skin care product is packed with so many nourishing and active ingredients. Developed and formulated by skin care experts, Alpha Armor was specifically designed for penile skin. Unscented - fragrance free. Squalene and tri-peptides derived & synthesized from plant based sources, USA made, and ECOCERT certified. Lanolin is extracted from sheep's wool. Net Weight 4 oz (113 grams). For external use only.Also contains ceresin beeswax, lanolin, coconut oil, squalene, and candeia extract. * Alpha Armor and Alpha Armor logo are trademarks of ADI Laboratories. Get two for $37.95 !